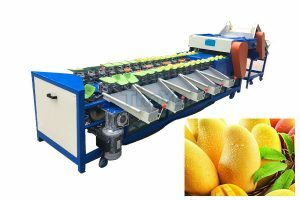 pomegranate grading machine is used for cleaning and waxing fruits, such as pomegranate, apple, citrus, navel orange, honey pomelo etc. 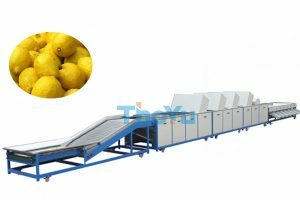 pomegranate sorting machine is used to make the fruit appearance look bright, and improve the fruit price for sale. At the same time, after waxing, a layer of wax membrane will be coated on the fruit to keep the fruit away from bacteria and elongate the fruit storage time. This electronic fruit grading machine is efficient and precise. 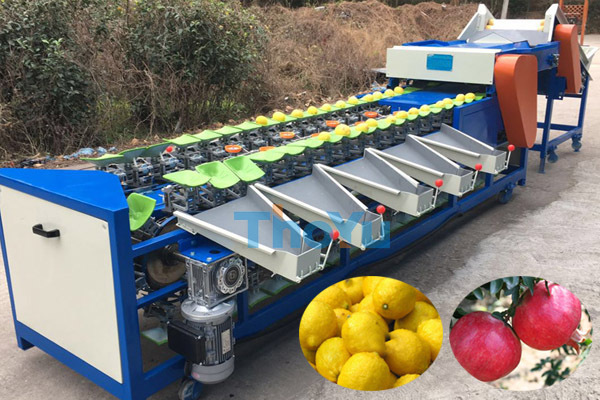 It’s widely used for grading apples, pears, persimmons, onions,lemons,mangos,pomelo,jujube,and other round fruits. 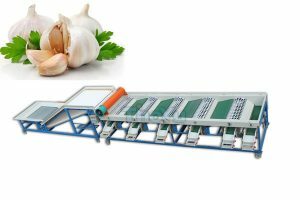 pomegranate grading machine is controlled by PLC, and is highly intelligent. Weighing, logic calculation, counting are integrated. Tetrafluoroethylene is covered onto the working surface to keep the pomegranate sorting machine running stably with low noise and increase the shelf life of the machine. The operation and maintenance of the machine is easy and laborsaving. This electronic fruit grader is efficient and precise. It’s widely used for grading apples, oranges,peaches, persimmons,onions,lemons,mangos,pomelo,jujube,and other round fruits. It is controlled by PLC, and is highly intelligent. Weighing, logic calculation, counting are integrated. Tetrafluoroethylene is covered onto the working surface to keep the machine running stably with low noise and increase the shelf life of the machine. The operation and maintenance of the machine is easy and laborsaving. And, the efficiency of it is about 1.5 times of that of the traditional machine.